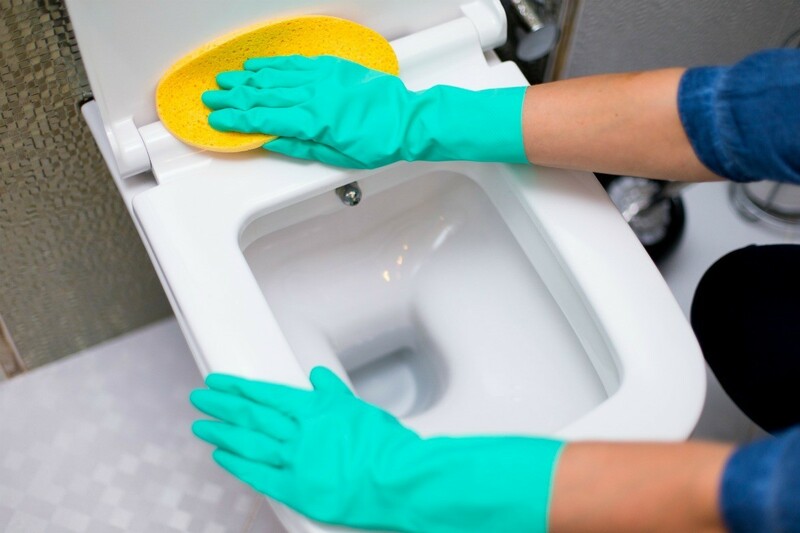 This is a guide about removing liquid toilet bowl cleaner stains from a toilet seat. Liquid toilet bowl cleaner often is bright blue in color. The dye in the cleaner can easily stain non-porcelain parts of the toilet, such as the seat. Here are some tips for removing the stains. I used Lysol toilet bowl cleaner, and some of the liquid got on the toilet seat, leaving a blue stain. The seat is injection molded plastic. Any ideas about how to remove this stain? Thanks. I had a similar thing happen with dye from clothes when I put a load of freshly washed (but not dry) clothes on top of the closed toilet lid. This is what I did and it worked. Pour some straight bleach onto a large rag to saturate. Lay the saturated rag over the stain and then cover with a plastic bag to keep the fumes and bleaching power in. Leave it for about an hour and then check on it. Stain should be gone. Good luck! Maybe peroxide will take the stain off the toilet seat. I use it instead of bleach in doing laundry & etc. It's much cheaper. It will also bleach your teeth.